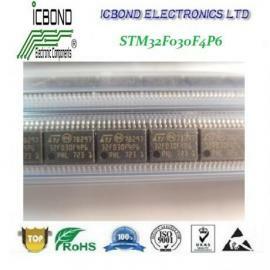 Icbond Electronics Limited, Established in 2001, is a professional independent stocking distributor of IC components with ten years experiences. 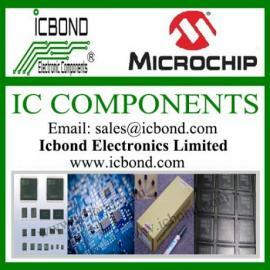 We sell below brands: MICRCHIP, IR, TI, ST, VISHAY, ON, TOHSIABA, MAXIM, ADI etc..
Icbond has gained good experiences in Excess Inventory Management through its development over 10 years and has become the reliable partner forthe domestic and foreign OEM manufacturers. supply authentic active and passive components for Resellers and Brokers since 2001, and goodat looking forhard-find and obsolete parts. We are the professional independent stocking distributor of MICROCHIP, CYPRESS, TOSHIBA, ON SEMI, RENESAS, IR, NEC, NXP, MAXIM, ADI, ATI, TDK, ATMEL, NS, AMD, MICRON, VISHAY, EPCOS, XILINX, INFINEON, TI, IXYS, SASUNG, SANYO, FUJISU, SHARP, ST, FAICHILD, JRC, OKI, AVX, INTEL, HITACHI, AVAGO, WINBOND, POWER, ROHM etc.. Integrated Circuits, Memory ICs, Diodes, Transistors, Capacitors, Resistors, Varistors, Fuses, Trimmer & Potentiometer, Transformers,Adapters, Attenuators, Audio Signal Devices, Batteries, Cables, CircuitProtection, Relay, Switches, Encoders, Connectors, Terminal Blocks, Cords, Crystals & Oscillators,Discrete Semiconductors, Filters, Inductors, Isolators Optoelectronics,Sensors, Static Controls, Test Equipment, Thermal Management, Transformers,IGBT Drivers, LED Driver, Antennas, Hardware, PCB(Printed Circuit Board) etc..
We have good reputation all over the worlddue to we know what is important for customer, we insist "Honest is the basic,quality is the guarantee, competitive price and good service are intended to standing and mutual benefit cooperation." We aim to exceed our customers'expectation through our total commitment to quality, continuously improve ourquality systems and understand that reliability is the key to customer satisfaction. Please feel free to contact us if you haveany inquiry and excess stock to handle, thanks for your support! We have good reputation all over the world due to we know what is important for customer, we insist "Honest is the basic, quality is the guarantee, competitive price and good service are intended to standing and mutual benefit cooperation," We aim to exceed our customers' expectation through our total commitment to quality, continuously improve our quality system and understand the reliability is the key to customer satisfaction!